American clinical experience and scientific research suggests that a chronic lack of iodine may be indicated in an epidemic of thyroid-linked illnesses, breast cancer and fybrocystic disease. 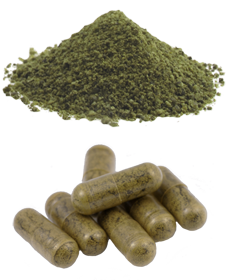 It has been noted by Seagreens® and in the US that successful treatment has been achieved using what we might regard as high levels of iodine, but which are in fact no more than average daily intakes in Japan, largely from the traditional inclusion of seaweed in their daily diet (203). Iodine induces apoptosis (programmed cell death) in cells which represent a threat to the organism (eg. cancer cells or virus-infected cells). Human lung cancer cells shrink when genes are spliced into them to enhance iodine uptake, both in vivo and in vitro. Iodine...clearly has an important role, observed in research. “The results obtained... revealed that in some subjects, the urine levels of mercury, lead, and cadmium increased by several times after just one day of supplementation. For aluminium, this increased excretion was not observed usually until after one month or more on the iodine supplementation.” Furthermore, this author’s research in orthoiodosupplementation achieved “increased urinary excretion of the goitrogens flouride and bromide (122, 123).